This month, we rolled out a new “Teams” user interface to our app site, made it easier for account managers to update members’ policies, and have a few quick updates for Touchpoints users. 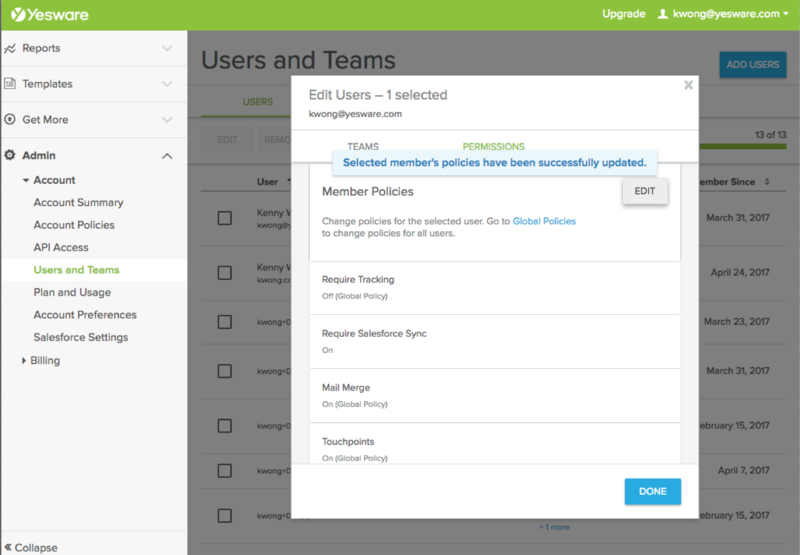 Last month, we rolled out our brand new Account Management user interface, Users + Teams to our app site. This month, we’re introducing Teams, for non-account managers. The interface keeps your teams (and members) organized. 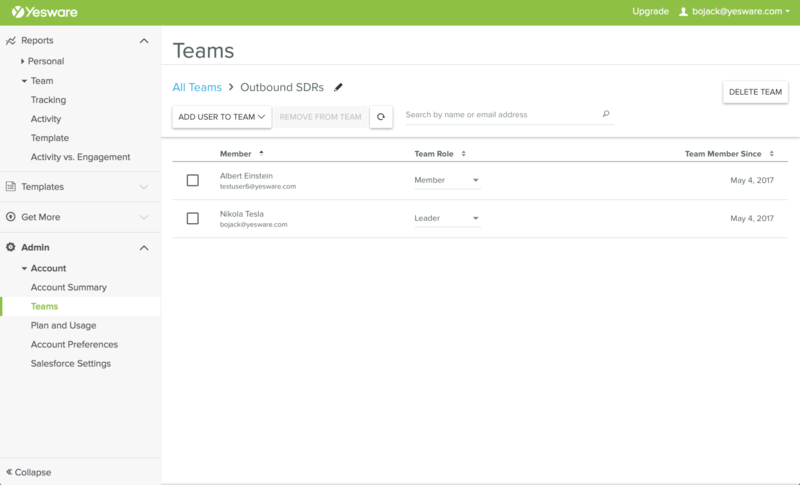 The interface keeps your teams and members organized so you can have everything in one place. 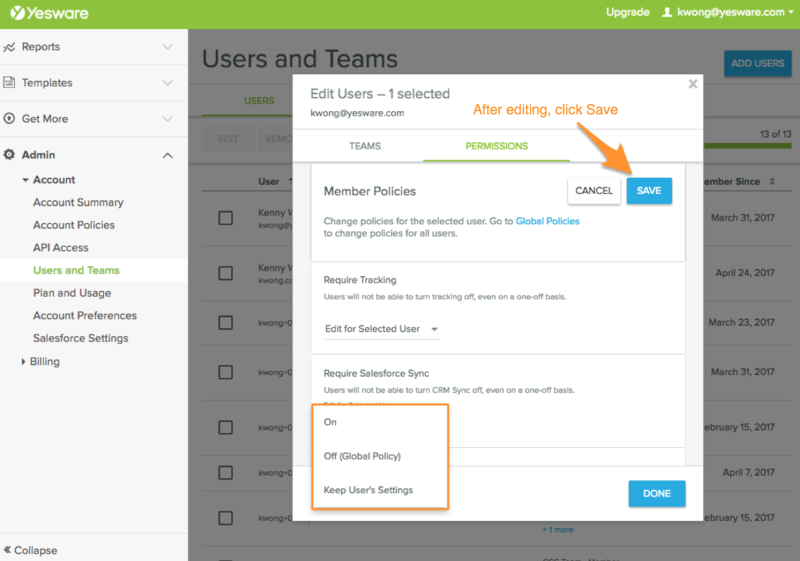 Starting now, account managers can edit a user’s settings. Ever wish you could edit a campaign that’s already gone live? 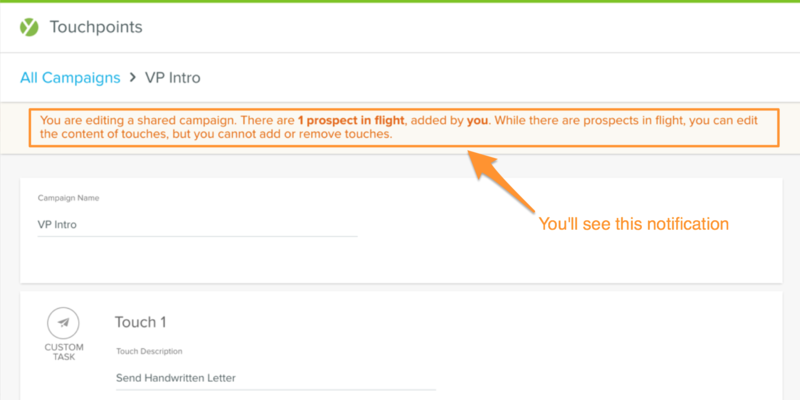 As long as your campaign doesn’t have any prospects in-flight, you can now add steps, delete steps, and change step-types at your convenience. If your campaign does have prospects in-flight, we’ll let you update the content of any step (think: email subject line and body, call description and talking points, and custom task subject & description). That said, you cannot edit the timing between steps, delete steps, or add new ones. But, we’ll show you a notification in-app to give you a heads up. Touchpoints campaigns will no longer consider post-5PM Eastern as the next working day. We’ve extended this window to 10 PM ET / 7 PM PT. You will no longer be assigned next-day tasks after 5 PM on weekdays. When you complete a task in your sidebar between 5 and 10 PM Eastern, this action will count as same-day. Stay tuned. We think you’ll like the updates we have on deck for the summer.